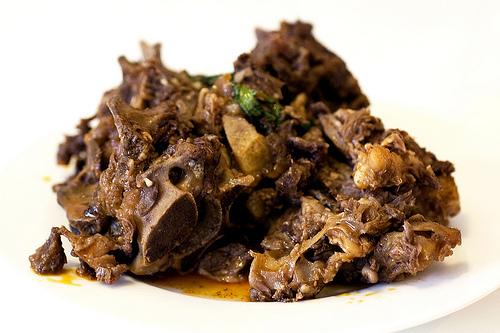 Stewed Lamb Ribs & Spine is only available as a special (not on the regular menu). It’s not served spicy, but if you like, you can ask for it extra spicy like I did. @Danny – It is winning. Especially if you get an order of liang pi on the side.